Researchers in Australia finally caught on camera what they were looking for: a new species of seadragon in its natural habitat. Footage released this week in Marine Biodiversity Records shows the elusive"Ruby Seadragon" in the waters off Australia's remote west coast. "I fully expected that we knew all the seadragon species that are out there, but the discovery showed us that we can still find big, charismatic, bright red fish that no one has ever seen before," Josefin Stiller of the Scripps Institution of Oceanography at the University of California San Diego, said in the video highlighting the new species. She discovered the "Ruby Seadragon" in 2015 by analyzing the DNA of preserved specimens. 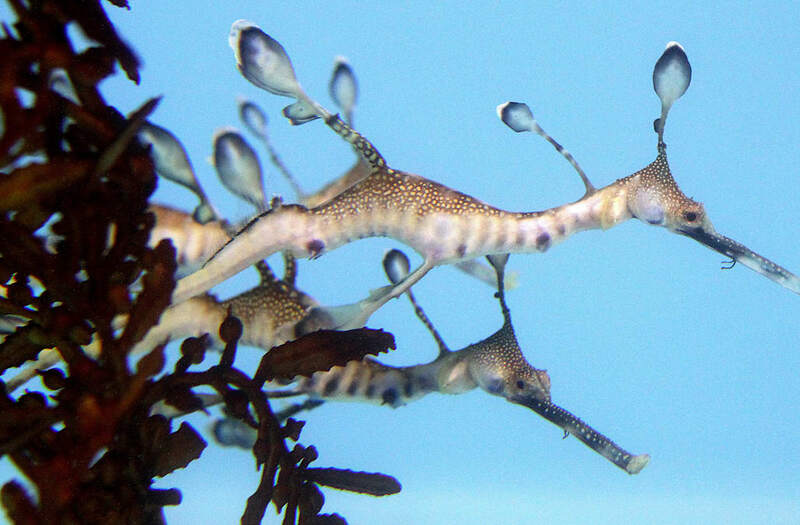 Seadragons, which have long, thin snouts and leaf-shaped appendages that act as camouflage, are related to pipefish and seahorses. Before Stiller's discovery, only two types were known: the Leafy Seadragon and the common seadragon (sometimes also called the Weedy Seadragon). In celebration of the new footage, here are striking images of other seadragon.